Flatheads seems to be aimed at the angler end of the outdoors spectrum with its fish sign and interior decorations. When I sat at the bar the first thing the bartender recommended was the breaded pork tenderloin sandwich. There is also a framed newspaper article on the wall from when the IPPA gave this sandwich an honorable mention in their annual contest in 2008. 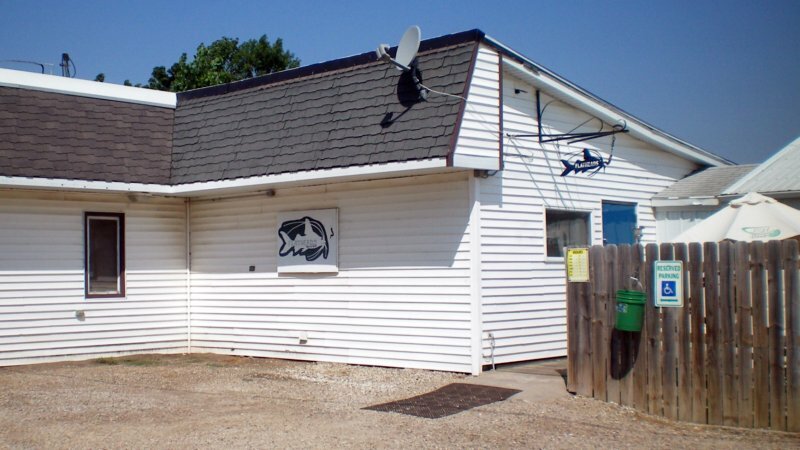 Location: 104 W 3rd St St Anthony in Marshall County, Central Iowa. Directions: I think its the only place to eat in St. Anthony, its on the north end of the old main street, visible from the county road. 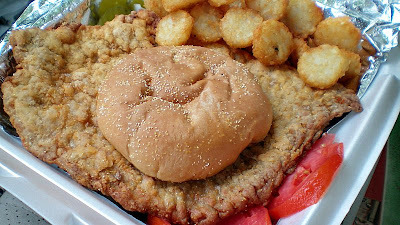 The Tenderloin: First things first, the portion here is big, easily over the eight ounces most places refer to as "jumbo". The butterfly cut of pork loin had been pounded out wide, but was still soft when bitten into. The breading was seasoned with salt on top and had a great texture. Served with your choice of fixings on a corn dusted Kaiser bun.Overall 8.4 out of ten. Also on the menu: The menu is large with fish like Walleye or Catfish sandwiches, burgers, pizza, a fish fry and a taco night. 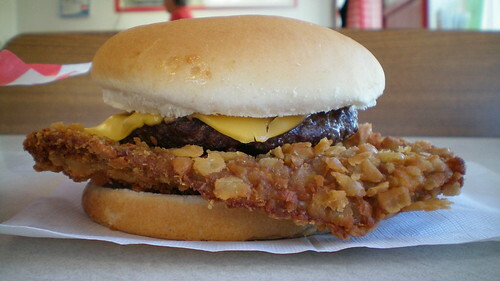 I think they added a gigantic tenderloin with toppings sandwich named Sasquatch. Service: I just sat at the bar and had the bartender take care of me on both of my visits. Ambiance: This is a small town dive bar with wooden board siding, beer signs, outdoors stuff, antlers, and a bar and tables for seating. Final Thoughts: I love visiting small town bars when I know a big juicy tenderloin is found inside. Flathead isn't that far off the State Highway or the roads leading to Marshalltown. Its a great stop when driving through this part of Central Iowa.